Every year Omega introduces certain models in platinum, sometimes gold, typically as a limited edition with fancy decoration or dials; last year was the turn of the platinum Aqua Terra Worldtimer with an enamel dial. These top of the line watches are always launched quietly, perhaps because they are preposterously expensive. But they are always cool, and none more so than the ultra-luxe Seamaster 300 unveiled at Baselworld 2018. Dive watches with exotic dials are not new – Rolex used to make a Submariner with a lapis lazuli dial – but they are rare. 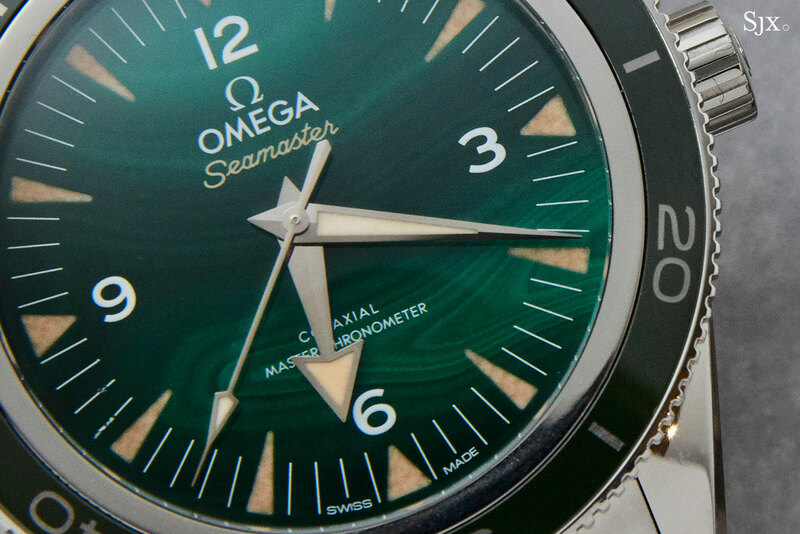 The Seamaster 300 with semi-precious stone dials is not a limited edition, but only a small number will be made. In fact, they will probably be less common than expected, because few retailers or boutiques are likely to risk stocking such an pricey timepiece. Available in 18k yellow gold or platinum, the cases have the same dimensions as the pedestrian steel models, 41mm in diameter and 14.65mm high. Good enough for modern tastes, but still small enough to keep the retro feel of a proper remake. The weight of the watches, however, is surprising, given their size. With platinum almost three times as dense as stainless steel, the platinum model feels exceptionally hefty, probably weighing close to 500g or a pound. 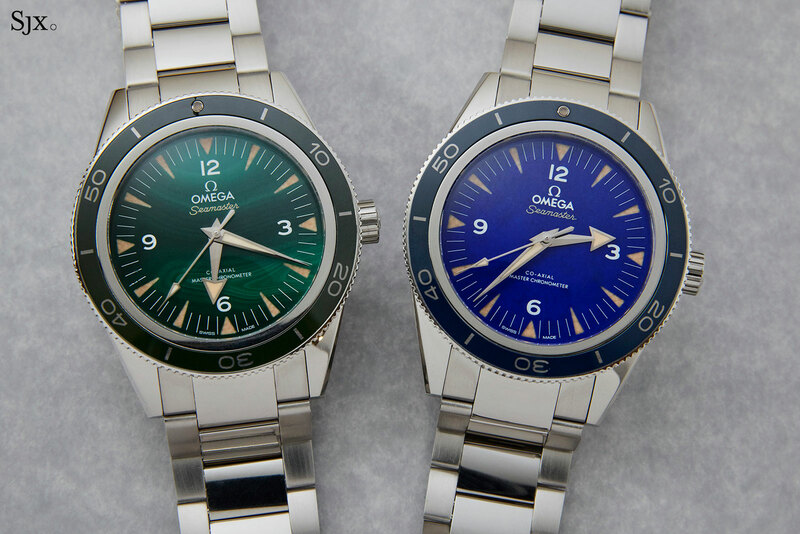 In terms of tangible quality, the watches live up to their cost. The cases are brushed on the top, and brushed on the sides, matched with alternating surfaces on the bracelet. And the bezels have coloured ceramic inserts to match the dials. The dials are undoubtedly the highlight. 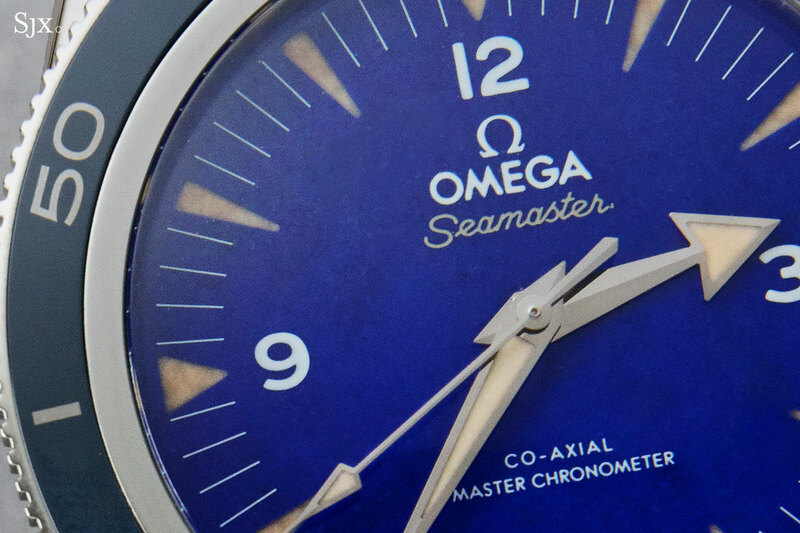 Either lapis lazuli or malachite, the dials have printed markings and slightly sunken hour markers, with the faux vintage Super-LumiNova painted into engraved recesses. Given the fragility of stone dials – the thin slice of stone has to be bonded to a metal back for stability – the engraved hour markers are a surprising touch. Inside both the gold and platinum models is the same cal. 8913, an automatic with all of Omega’s technical innovations that’s visible through the display back. It’s a Co-Axial Master Chronometer, meaning it has the lubrication-free escapement invented by the late George Daniels, as well as a silicon hairspring and extreme magnetism resistance of over 15,000 Gauss. That’s thanks to non-magnetic proprietary alloys used for the escapement. 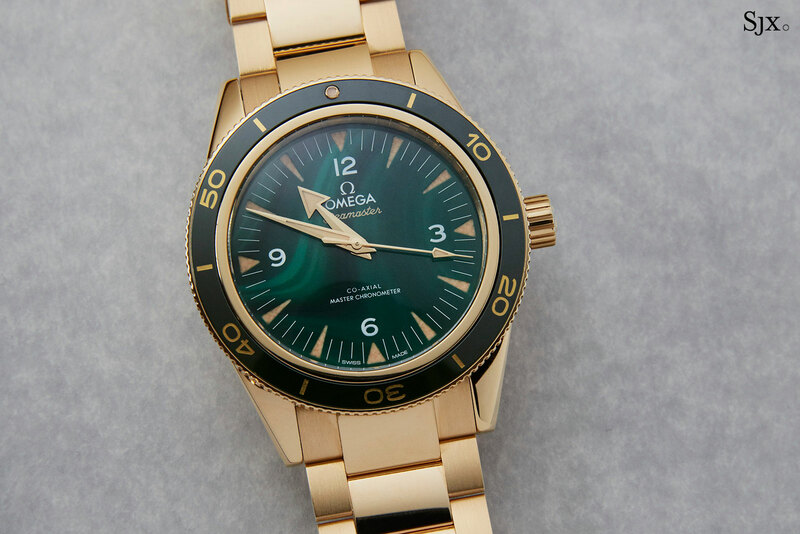 The movement has twin barrels and a 60-hour power reserve, as well as decorative touches reserved only for precious metal Omega watches, namely the rotor and balance bridge in 18k Sedna gold, Omega’s in-house, fade-resistant red gold alloy.